Kano University Of Science And Technology (KUST) UTME and Direct Entry Merit/Provisional Admission List for 2018/2019 Academic Session - Download KUST UTME and DE Admission List in PDF. 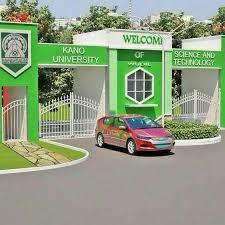 This is to inform all UTME and Direct Entry applicants of the Kano University Of Science And Technology (KUST) that the admission list has been released for the 2018/2019 academic session. Click here to download KUST UTME Admission List in PDF. Click here to download KUST Direct Entry Admission List in PDF. Kindly log on to the JAMB e-Facility dashboard via jamb.org.ng/efacility.